The redesigned 2019 INFINITI QX50 has become a hot topic of conversation. Not only does the crossover boast a stunning new look, but it also promises to return better fuel economy. Precise driving dynamics make the 2019 INFINITI QX50 an even more exciting ride. Let’s check out some of the 2019 model’s key features. This year, the INFINITI QX50 comes equipped with an all-new VC-Turbo engine. A revolutionary design enables this advanced four-cylinder engine to deliver a strong performance without compromising any fuel efficiency. It automatically adapts to meet the demands of the driver. INFINITI tuned the engine to push out a competitive 268 horsepower and 280 pound-feet of torque. With a 0-60 time of 6.3 seconds, the new QX50 definitely accelerates quick enough to put a grin on your face. In terms of fuel economy, you can anticipate getting a combined 27 mpg. While the outgoing QX50 is a fun vehicle, the new model offers an even sharper handling. When bad weather is on the horizon, you’ll be thankful for INFINITI’s available Intelligent AWD system. While behind the wheel of the new QX50, its driver-focused cockpit will make you feel in complete control. However, comfort remains a big priority. Sliding and reclining rear seats allow your passengers to experience a relaxing ride. There’s also more than 31 cubic feet of cargo space in the back, which further highlights the QX50’s versatility. A motion-activated liftgate enables you to keep your hands free when loading stuff. Of course, you can’t forget about the crossover’s high-tech goodies. INFINITI’s dual-screen InTouch infotainment system and a Fine Vision gauge cluster come standard. Meanwhile, the available Bose Performance Series sound system will leave music fans in awe. Very few crossovers will offer as many cutting-edge safety innovations as the 2019 INFINITI QX50. When an oncoming vehicle is identified, INFINITI’s Blind Spot Intervention system can actually help steer you back into your lane. Meanwhile, the new ProPilot system makes stop-and-go driving less of a headache. Featuring a total of four high-resolution cameras, INFINITI’s Around View Monitor is a major help in congested parking areas. Some of the other advanced driving aids include Backup Collision Intervention, Forward Emergency Braking, and pedestrian detection. With such a long list of improvements, the 2019 INFINITI QX50 is destined to become one of the highest-rated SUVs in its class. 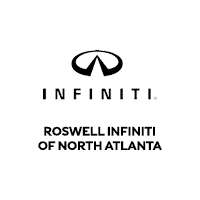 To find out more details about the next-generation QX50, be sure to contact Roswell INFINITI today!